The year 2005 was a year full of tragedy for so many people around me, including myself. It started at the end of 2004, where a dear friend sustained a severe brain injury which she is still recovering from. Then another friend lost her mother and her brother within a few months of each other. The husband of the brain injured friend lost his sister in a freak accident. Carl Paul here passed in October, and then my father in November. 2006 has not seemed to fare much better as my boss lost his brother-in-law and father-in-law within weeks of each other. Another ex-coworker Richard Hamilton passed. And finally, my ex-boss lost his wife after a long struggle with cancer. I wonder if it is because I am simply getting older and more and more people will pass away around me. It seems a bit more than it should be. It is, simply, because I eternally love Mozart, and this ridiculous playing really harms me. ...his knowing of style is undeniable which makes impression that his neglect playing is deeply purposeful. I love Glenn Gould -- when he's playing Bach, that is. But Gould hated Mozart, and while some of his early Mozart recordings are quite nice, the Mozart recordings he did in the 60's and 70's (i.e., on these discs) were simply bizarre. And not in a good way. They are exhibitions in spite, and spite is not fun to listen to. Granted, some of the slow movements are played beautifully -- but there's more to Mozart than slow movements. The fast movements (i.e., two thirds of the music in the average sonata) are a horror. Gould's generally snotty, holier-than-thou attitude to Mozart is clearly reflected in this butchery of what is, generally speaking, very solid piano music. Gould's condescending views to Mozart are, presumptively, based on the power of his (Gould's) own fine body of compositional work and the sheer weight of Gould's own prodigious ego. OK, I digress, need to stay the course here. Carl absolutely loved Glenn Gould and his performances of Bach and Beethoven. I agreed that no one comes close when it comes to Bach, but I could not convince him that Gould completely butchered Mozart. So I ended up giving him my entire CD set and thanked him for taking them off my hands. A few days later, he came back to me and told me that he and his wife, a concert pianist, agreed that the performances were terrible. She said that her students could to a better job than Gould did. He offered to give them back and I told him he would have to find someone else to pawn them off to! Carl had also given me the book Piano Notes : The World of the Pianist. It was a really nice gesture and a great book to read. I'm not sure why he did so, as we were not really close friends, but I will always remember that the book was a gift from him. I have since bought it for another pianist friend. 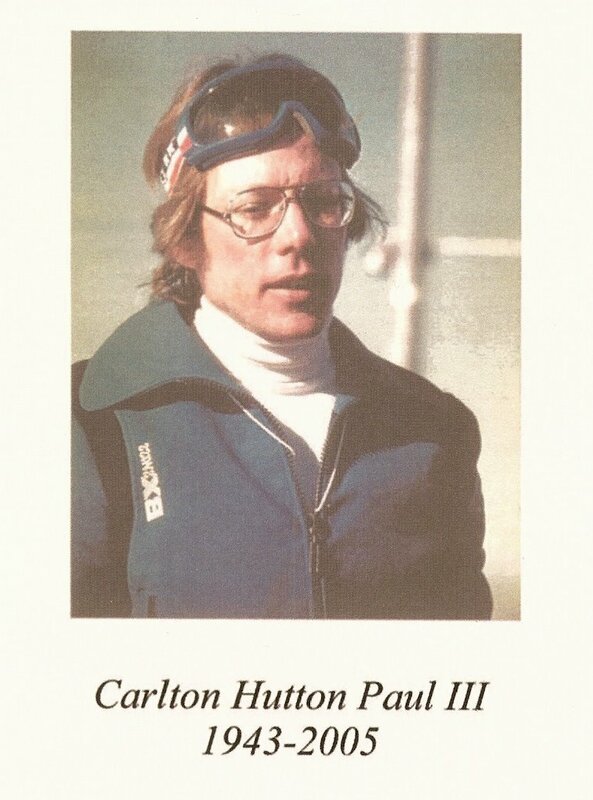 Carl's service was the first open casket service that I had ever attended. Seeing his body was quite a shock to me, as it was so real, so obvious, so final. Perhaps having this type of service gives a sense of closure to the people close to him, but it is clear that I am not that kind of person. The service itself was beautiful. The speakers often moved everyone to tears, especially his nephew. The music was Mozart's Requiem. I asked Doug later if that was the type of service that he would want and he said yes. I don't know whether I could handle an open casket, but that would be his wish. My father's memorial was simply the inurnment of his ashes, with no viewing, and much more to my taste. Friend number two above helped me tremendously in those preparations. Your writing moved me very much because I too had a period in my life with quite a number of deaths in the family. My Uncle Joe, then Uncle Jim, then Aunt Gert, and then my own parents with my father going suddenly and fairly soon after my mother after a little over a month in the hospital. Being a Christian, we traditionally have an open casket wake, and I have to say I do not enjoy them....but I have also been to closed casket services and they are no picnic either. Death is a sad and tramatic event. So final. Even when we expect it and see it coming, such a huge change happens in that final millisecond that we are never ready. I think the open casket is supposed to help with closure. For me, I actually think it does. My opinion comes from the last few seconds of my mother's life. I know that non-religious types will scoff at this, but I do feel that God saved me even more of a shock. Only seconds before my mothers passing, I had moved aside to let the night nurse close to take her temperature and vital signs. I am sorry to post such a sad and perhaps graphic thing...but my point of doing so was to say that my final memories of my mother are of her funeral service, and of her laying very peacefully at the wake. I knew she had passed, and that she was not actually there in a peaceful sleep, but seeing her allowed my last memories with her looking so calm and at peace, rather than the very difficult struggle for life. But this concept of closure is what I was taught by my mother herself...so maybe this is why I felt that way. I just don't think there is a single right way....nor are there any easy ways to go through a passing. It is all so final.